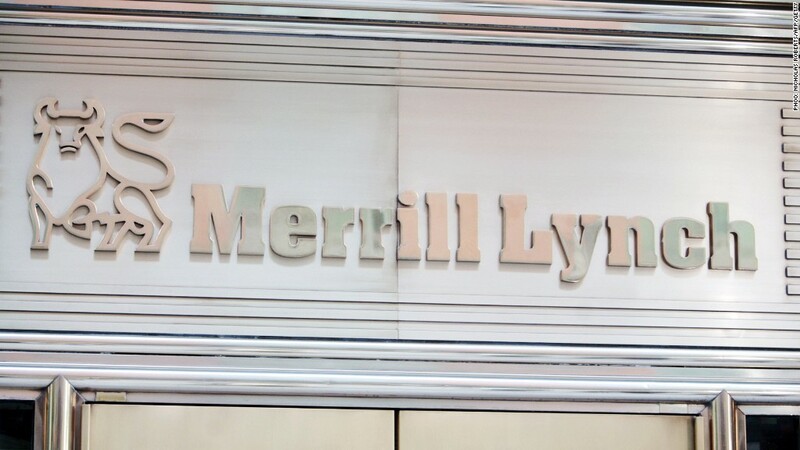 Merrill Lynch has agreed to pay $160 million to settle an employment discrimination class action suit, according to the plaintiff's attorneys. Merrill Lynch has agreed to pay $160 million to settle a federal class action lawsuit brought by African-American brokers eight years ago, according to attorneys for plaintiffs in the case. The settlement, one of the largest ever in an employment discrimination case, would set up a pool of money to be divided among an estimated 1,200 current and former brokers at the firm, according to Suzanne Bish, one of the partners at Stowell & Friedman, the Chicago firm that brought the case in 2005. Lawyer fees will be no more than $40 million of that settlement amount, Bish said. The federal district court has yet to consider or approve the proposed settlement. The brokerage firm, a unit of Bank of America (BAC), would not confirm the settlement. "We are working towards a very positive resolution of a lawsuit filed in 2005 and enhancing opportunities for African-American financial advisers," said spokesman Bill Halldin in the firm's only comment. The suit was a uphill battle for the plaintiffs, who had a district court, court of appeals and U.S. Supreme Court all refuse to certify a class of plaintiffs at several points along the way. At the time the suit was brought, Merrill Lynch was an independent firm led by a black CEO, Stan O'Neal. In his deposition in the case, O'Neal denied there was any discrimination by Merrill Lynch and suggested that black brokers earned less than white brokers because white Americans have more wealth than African-Americans and were more comfortable trusting their investments with white brokers. It wasn't until February 2012, more than six years into the case, that a court of appeals first certified the class action on behalf of African-American brokers at the firm. Merrill Lynch then appealed that decision but could not get a hearing before the Supreme Court. The case had been scheduled for a January 2014 trial date before the settlement. Coca-Cola (KO) agreed to pay $192.5 million in a settlement in 2000. And Texaco agreed to a settlement valued at $176 million in 1996. Bish said subsequent court decisions have made large employment discrimination settlements more difficult to win since those earlier cases.